Saratoga is a bustling city with a steady stream of visitors and locals driving downtown to experience the best dining, shopping, and events. New or infrequent visitors to the city are often concerned about where they will find parking, as finding a spot along the main thoroughfare can sometimes prove challenging. Thankfully, if you know the right places to look, you can find a spot! Woodlawn Avenue: Four-levels of parking, provides easy access to downtown, located just one half block off Broadway. Putnam Street: Offers easy access to Congress Park, along with shops and businesses on Phila Street, Putnam Street, and Maple Avenue. Walton Street: Conveniently located near the Post Office and other businesses on the north end of Broadway. High Rock Avenue and Lake Avenue: Two lots that provide easy access to the City Center. High Rock Avenue is the larger of the two. Federal Street: A paid parking lot is located on Federal Street. Broadway: Across from Walton Street is a small parking lot. Spring Street: Across the street from the Putnam Street garage, this lot offers easy access to Congress Park. 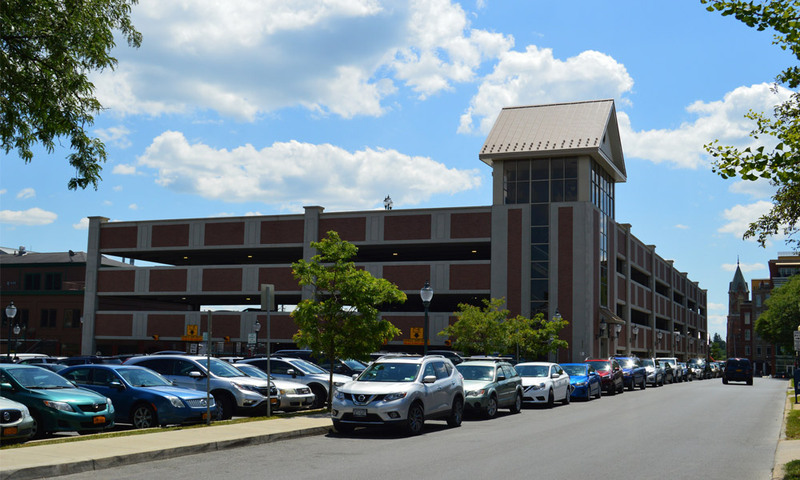 Saratoga Springs Public Library: A parking lot is available at the Saratoga Springs Public Library. Henry Street: North of the Saratoga Springs Public Library is a free parking lot on Henry Street. Congress Park Centre: A large parking lot between Congress Street and Washington Street is available for shoppers checking out the other stores right in front of the lot. Simply have your card stamped for parking. Congress Plaza: Offers access to shops in Congress Plaza, but is only open for patrons. Price Chopper: There is a parking lot at the Price Chopper, but it is open for patrons only. Ellsworth Jones Place: Behind the Comic Depot is a private lot with restricted hours. Pavilion Place: Along Pavilion Row is a parking lot that is private with restricted hours. Church Street: Near the Walton Street garage is a private lot with restricted hours. Street parking is available on both sides of Broadway, and on most side streets. Please Note: When parking in downtown Saratoga, be aware of all posted signs. Many lots allow all day parking, but some are limited to two hours during certain times of the day. Make sure to keep your eyes open and read all the signs!